Water Turret needs to be destroyed! Read about the Water Turret post here: CLICK HERE! A new detailed blog post on Parallax motion effect published here: CLICK HERE! Many features have been added withing a whole month. 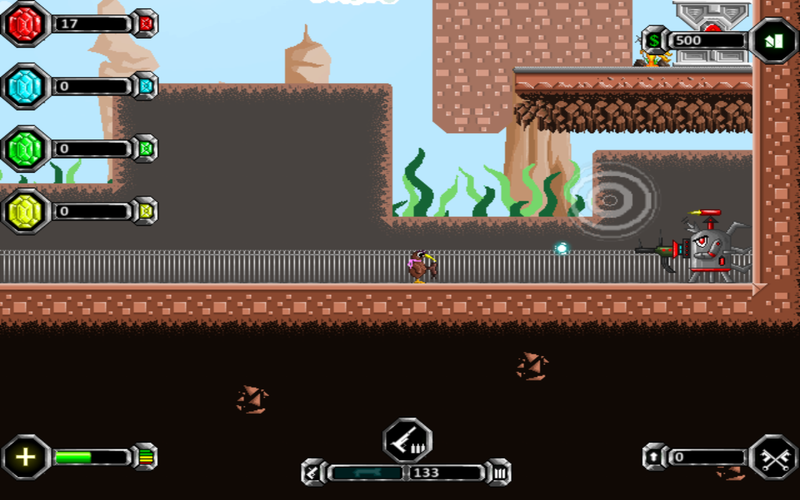 Parallax effect is now present in the levels as well! NOTE: I will post the new topics over the same game development progress and they will be more informative. All the links will be provided from this page only. More updates to be provided very soon! 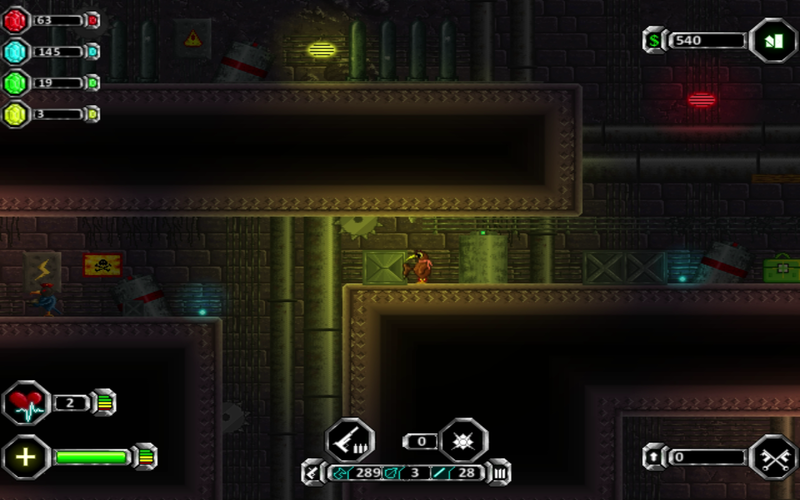 Introducing Laser Firing mode for the weapon of Keatz. The cave looks pretty scary. Right? Here are some robot who are installed here by Heavens's army in order to keep away Keatz for proceeding with his mission. Once you kill them, you will receive yellow gems which is one of the rare gems available in Heavens. I have started working on cave levels and I would like to present some screenshots here. Today, I am going to add some screenshots only(no gifs) for the cave level of Keatz The Lonely Bird. 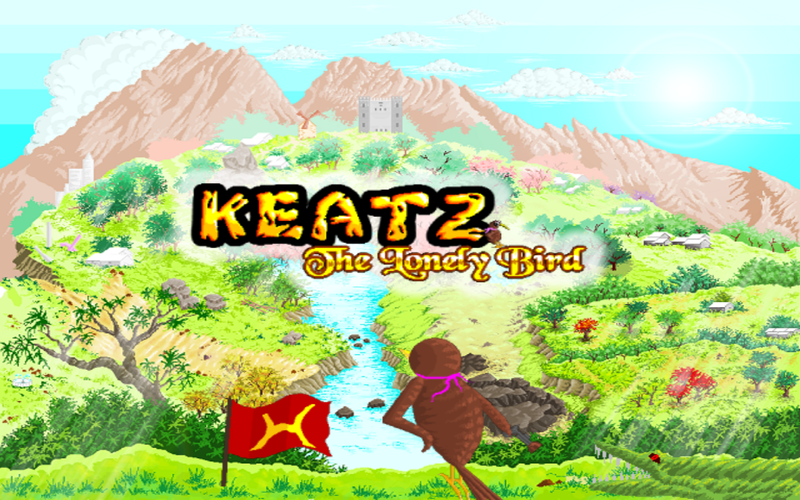 I will launch a crowdfunding campaign for Keatz The Lonely Bird very soon on Indiegogo. I hope it goes well. Stay tuned for more updates! Stay tuned for more future updates! I have worked on 7th level which is one of the boss's level where the player needs to defeat the boss in order to get some special items and to move on to the next level. There is a great surprise waiting for you guys in the end. - Improved enemy AI and adding line of sight feature which enables enemies to see the player through a distance and act accordingly. - Added and improved graphics quality. - Improving level design for the forest level. After finishing the forest level, I will start working on the mysterious Heavens's cave where the player have to explore many secret items, unlocking or hacking security system and move on anyway. More features to be implemented soon! 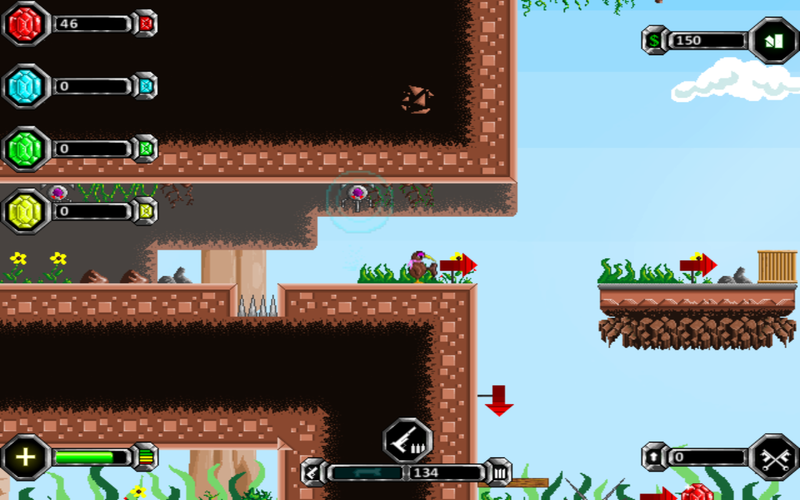 Today, I have introduced rocket launcher mode for Keatz - The Lonely Bird game. I have decided to introduce more firing modes like laser mode and also spinner blades which are capable of killing multiple enemies at once! Stay tuned for more updates! With the next update, Laser mode will be introduced. I have been making progresses by creating assets for the village levels. 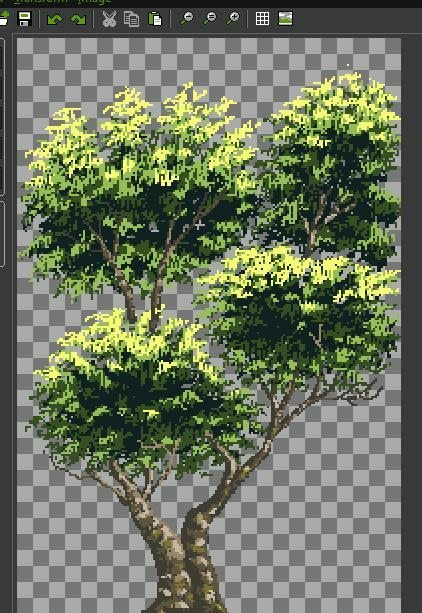 Here is a tree on which I am currently working. I am trying to make it as good as possible. 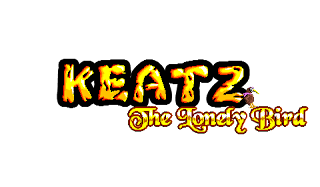 Keatz The Lonely Bird will be having a better graphics in terms of quality and should attract more players for this game. We have a plan to launch this game at the end of 2017. More updates are coming soon! Stay tuned guys! After a long silence for about a month, the game is slowly being developed. However, the cover image is now up! You can see the different locations in only one cover image of Keatz The lonely bird. More updates coming soon! Stay tuned! and Follow me on Twitter for updates! I am now working on the cut scenes after the Dream world level. Dream world level will be demonstrated in the next update. Meanwhile, I will discuss about the cut-scenes for Heavens Forest Level. The parallax motion provides more depth to the visuals. It seems as if the motion is in 3D but actually it is in 2D. This presents a more or less realistic effect in the game. I will experiment more on this effect and making visual effects better. More updates - coming soon! I am currently adding more stuffs in levels and working on level design. Today I want to show a few screenshots of the game. Next week, I will upload a short gameplay video of the third level. 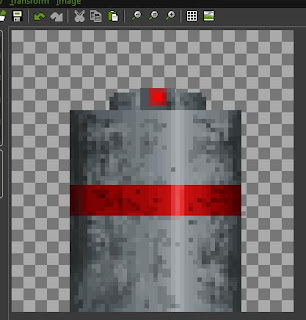 I will start working on Dream world levels. Dream levels are unique small levels which is pale in color and has quite different mechanics than other normal levels. These levels are associated with storyline and cut scenes. More updates will be provided next week! Stay tuned guys! I have finally changed the name of the game from Kiwix to Keatz : The Lonely Bird. This will be the final name of this game and it will not be changed again in the future if it's not necessary. I will keep providing updates from time to time. Today, I have added some new traps like rotating blades, and more turret. Here is a short gameplay showing the second level of Kiwix. I will start designing the third level after I finish this one. - Some new bots and bots which through plasma along with deadly missile. - A new rotating ground blade which is pretty dangerous. - Some woods fitted inside the walls used for jumping at a greater height than usual. - A new enemy(Red feathers) which has a greater firing rate. - Death animation + Screen shake effect. - More features to be added in the following update. Today is the final day of the year of 2016 but it's not the final post. I had uploaded a post on Facebook with the previous update and got some valuable feedback to improve the gameplay and particle effects. Today, I have worked all day long to introduce blood/gore effect, and other particle effects. This has changed the look of the game, Kiwix. - More levels to be added. - There will be three difficulty modes including, Easy, Medium and Hard. Kiwix is currently under active development. As a one-man studio, this is very difficult to keep up with everything. It takes much time to introduce new game mechanics. However, I have already made some progress in development. Please take a look at the gif given below which shows small gameplay of the game. -Some equipment like health, ammo, etc. More features are coming soon with every update. Current version is Alpha V0.0.1. Hello everyone, I am the developer of Kiwix and I have initiated this project on 1st November, 2016 officially and since then, I have been working on this title slowly and steadily. Kiwix is an upcoming side-scrolling platform action game based on the story of the bird called Kiwi who have been looked down upon by all the other birds in the world. This was due to the inability of Kiwi to fly like other birds can. Everyone left her alone in the dark forest and there was no one beside her to comfort her and they did not even care about her anymore. One day, she would find a bird, who was also flightless and they would become the best friends ever. Her name was Tiwi. Although she promised her not to leave her side again like others did, Kiwi had to face an inevitably tragic incident. The full story will be exposed when the game is at least 50% done. As you can see, this game will be very very small and is based on a cute short story. It has been primarily targeted for PC platform and will most probably be available on Steam someday. However, I will try my best to keep you updated with details about the development based on how far the progress have been made. I have started working on some major game mechanics, working on some graphics, programming and all sorts of things. Thanks for reading! If you are interested in this game and want to keep the track of development progress, please feel free to subscribe or bookmark the page. Thanks!